With hiking season right around the corner, I’m in full prep mode. My girlfriends and I have already set our first hiking date and I’m currently shopping around to update my hiking gear and activewear collection. Comfortability and practical are top on the list but so is stylish. In my opinion, everything can be done in style. I’ve been searching around and have rounded up some of my favorite options that I found on the web to help make your hiking adventures more fashionable. These items can easily pair with all 24 pieces I laid out in Activewear Basics eBook. If you need help with stepping up your hiking attire, these eBook lays out the basic activewear pieces - clothes, shoes and accessories and I’ve mixed and matched them to create 100 different outfit ideas. 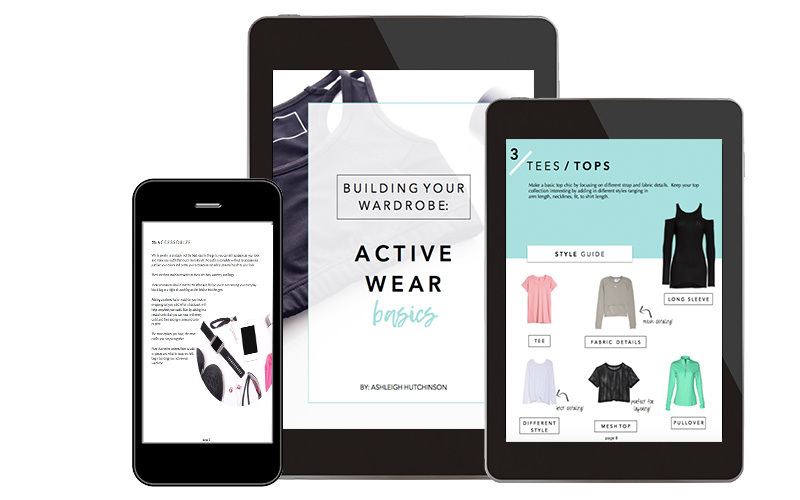 Because I wasn’t fully prepped last year when I started hiking, this eBook has been my go-to for building up my activewear collection. Below are a few photos from some of my favorite hikes last year. I’m counting down the days until they begin!